Republican William A. McKinley, the country’s 25th president, had been assassinated just two years before, during his second term (having twice defeated William Jennings Bryan), in Buffalo, by anarchist Leon Czolgosz. McKinley today is best/barely remembered for raising tariffs, establishing the gold standard, annexing Hawaii and winning the Spanish–American War. He might be totally overlooked today, except he was murdered in office (and followed by his vice president, Theodore Roosevelt, who would soon grossly overshadow him), so parks and schools and more were named in his honor at the turn of the 20th century, while many American cities were expanding and seriously modernizing—including Bay Ridge. “The people of the district approve the plan,” the Eagle reported, “it being understood that the cost will be borne by the city at large.” (At the same meeting, it was also decided to acquire the southern third of present-day Sunset Park—43rd to 44th street, Fifth to Seventh avenues—for $100,000.) But not everyone approved. 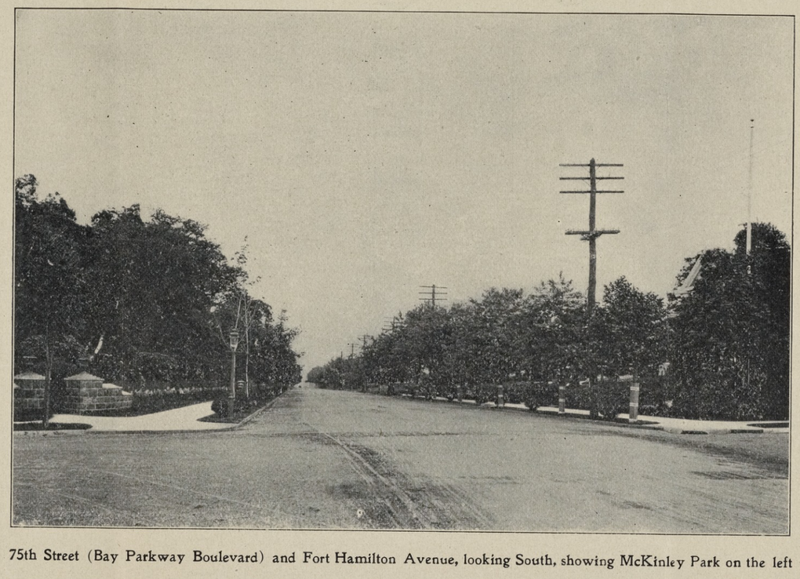 “We trust the proposition to give the name of McKinley Park to the tract of land at Seventy-fifth street and Fort Hamilton avenue, which was recently acquired by the city[,] will not be adopted,” Brooklyn Life reported in January 1903. Outside of the fact that the country has been sufficiently McKinleyed for the present, this park is too small an affair to be called after such a big figure in the nation’s history. It is also too remote from the center of the city, or even the busy part of the borough, for any appellation but a local one to be appropriate. A larger reason for protest in this matter, however, lies in the simple circumstance that in Highlawn Woods the new park already has a name that could not possible be improved upon. As such the beautiful little stretch of woodland has been known for half a century or more, and as such let it continue to be known so long as it remains a charming bit of forest in one of the most charming sections of the metropolis. The earliest mention I found of the park was in July 1902. That was when the borough president, J. Edward Swanstrom, visited the “small stretch of woods of Fort Hamilton Avenue,” the Eagle reported. 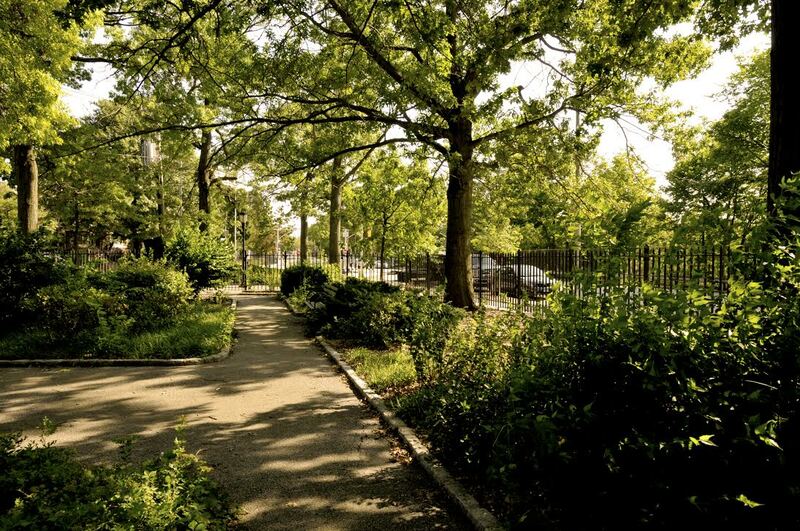 Some time ago David Porter, a resident of Bay Ridge, called the attention of Borough President Swanstrom to the fact that by the expenditure of a comparatively small amount of money High Lawn Woods, a well known spot in that neighborhood, could be converted into a park. Mr. Porter stated that the woods consisted of natural park land, which, with improvement, could be easily converted into an ideal recreation spot. 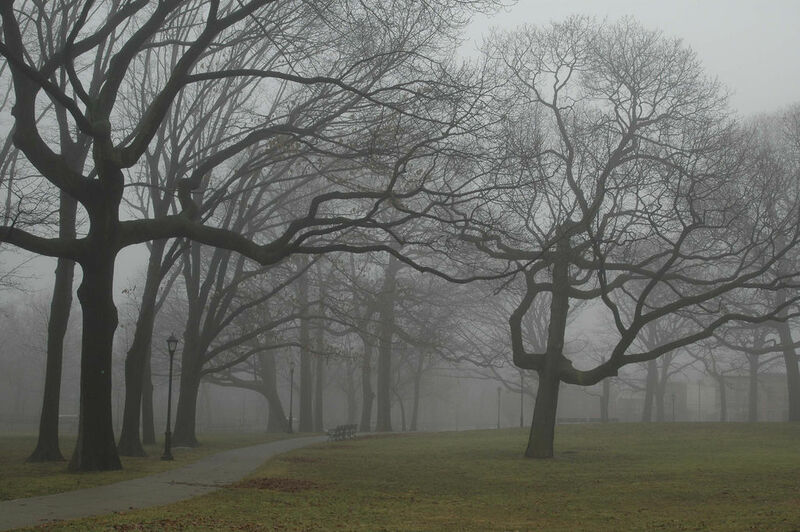 In fact, for a long time the woods have been used as a picnic ground by the churches and Sunday schools of Bay Ridge. The woods abound in large trees of many varieties and wild flowers grow there in profusion. It is covered largely with a native growth of fine trees and has been used by the residents of this neighborhood. Little work has been done there so far except the cleaning up of the woodland, the removal of dead and decaying trees and the pruning of the trees and shrubbery on the street lines. It is not the intention to expend any considerable sum on this park during the coming year, as it can be used in its present condition for some time to come. 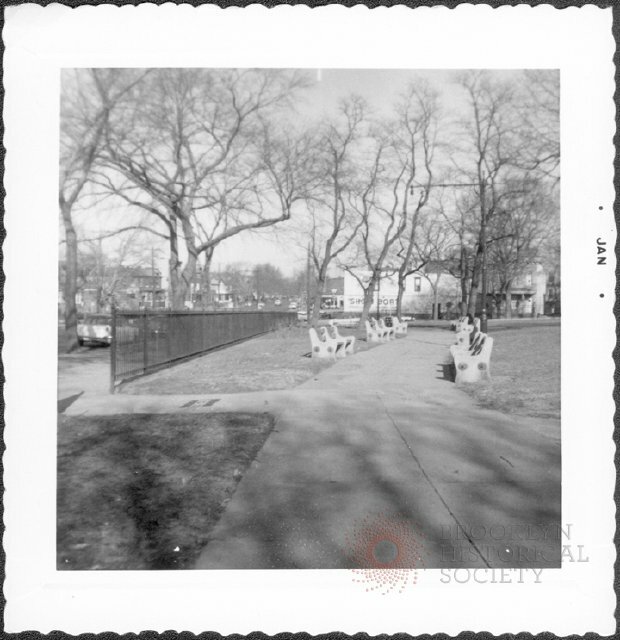 Southmost corner of McKinley Park, 1939, via Brooklyn Public Library. Today, this is the location of the Kathy Reilly Triangle. Gilbert Sorrentino cheekily refers to the residents’ enjoyment of such native growth in his 1981 novel Crystal Vision, set in Bay Ridge after WW II, during a bit of neighborhood gossip. Costance Maria LaNord…was quietly married several weeks ago in Bensonhurst to ex-Marine John McGlynn…The svelte ceremony took place at the new bridge’s spanking-new apartment on Fifteenth Avenue. She also maintains a pied-à-terre on Fifth Avenue over Fritz’s Tavern, the latest spot for the glitter-and-guzzle crowd, and a beautiful teeny-tiny room in her mother’s house on Fort Hamilton Parkway . . . The deliriously tinkly couple are spending the Christmas holidays there because of its proximitness to the sylvan delights of McKinley Park. 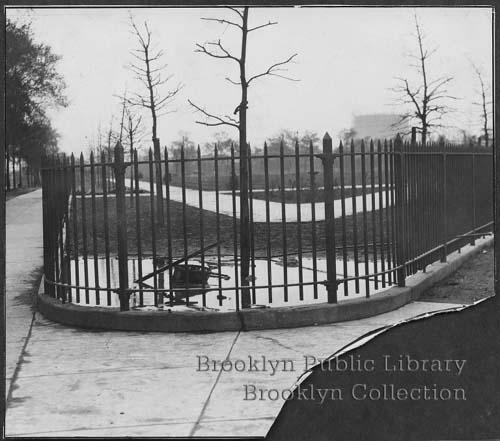 But McKinley Park’s picturesque qualities didn’t attract the attention of anyone beyond the local community, just as Brooklyn Life had feared. (Fortunately, McKinley settled into a historical relevance consummate to the status of this deep-in-Brooklyn, locals-only park; historians rank McKinley low on Best Presidents Ever lists.) 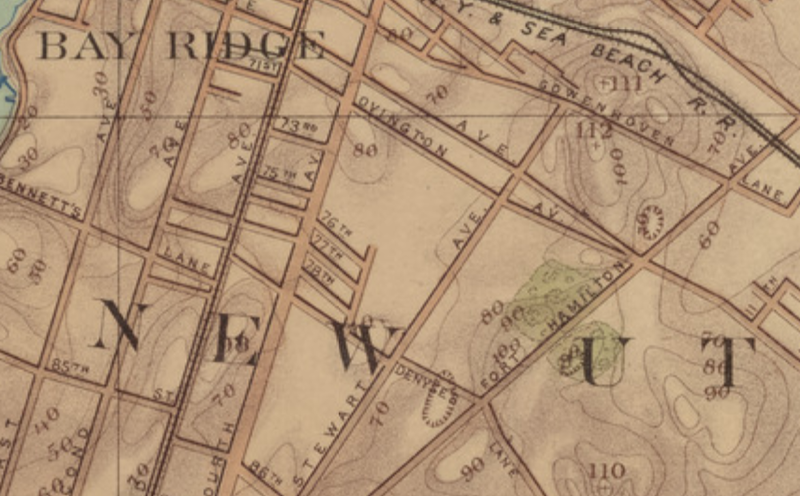 It never achieved noteworthiness; no postcards and few photographs exist in the available archives, unlike Shore Road, Owl’s Head, Leif Ericson (then the “Bay Ridge Parkway“) or Cannonball Park (then “Fort Hamilton Park”). Even though, apparently, it had quite a few amenities. “By the 1910s a parkhouse had been erected,” according to the parks department, “a skating pond was created, and tennis courts were built.” Joseph N. Muzio recalls skating there, ca. late ’30s or early ’40s, in his book about his parents, Buddy Remembers. Serious redevelopment was undertaken in the early 1930s. “McKinley Park has been so perceptibly embellished as to make those marvel who know the unseemly appearance is presented formerly,” the Eagle reported in November 1931. Its walks, shrubbery and trees have been laid out with such excellent judgment as to evoke the admiration of all who have seen them. Its playground facilities are so ample and so perfect that they might well serve as a model for similar undertakings elsewhere. 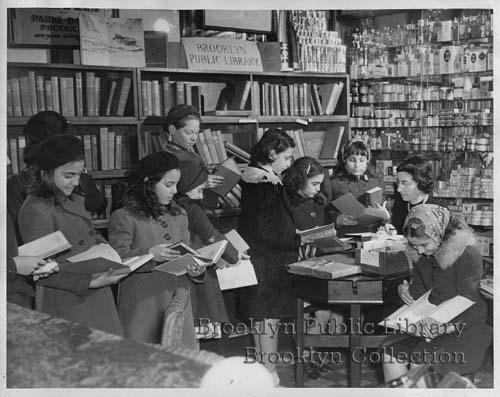 It’s a genuine pleasure to behold the many children who avail themselves of them. For grownups there are several tennis courts and equipment for basketball. In the park adjoining these there is need of benches, and these should be in place by Spring. The park has clearly evolved over the past century, as the community around it urbanized. Bisected by 75th Street, McKinley Park’s halves feel distinct: the north retains some of the hilly, forested mystique of the old Highlawn Woods, while the south now feels to me more like a typical Brooklyn park, balancing activity fields with benches and plant life. The two halves feel so distinct that today they technically bear separate names: in 1979, the southern half of the park was officially renamed after two late pastors at St. Epherem’s, across the parkway: Father Richard A. Kennedy and Monsignor Edward J. Sweeney. To make it more confusing, the southernmost tip of the park, where Seventh Avenue and Fort Hamilton Parkway collide, was named in 2000 after Kathy Reilly, a civically active local. Behind this triangle park is a lovely square of dense garden-growth, either part of Kathy Reilly Triangle or a separate square named after Harold P. McDonald, “a likable WWI veteran who died in 1934, so distressing his American Legion friends that they petitioned to have the square named after their friend, which the city council granted three years later,” according to an earlier Hey Ridge post. He donned a jogging suit, took his 9-millimeter Glock semiautomatic service weapon, went out and confronted about 10 youths, the police said. Soon after, as thugs scattered into the night, Sgt. 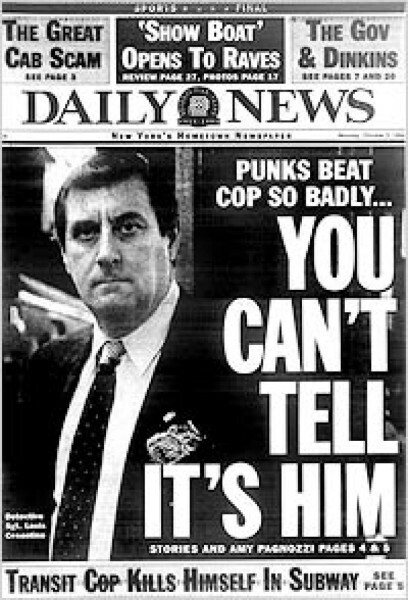 Cosentino lay bleeding and unconscious in the street, his face unrecognizable from the barrage of punches and kicks that had torn it apart and broken his jaw, nose, cheekbones and eye sockets. This act of violence did not occur in a vacuum, according to a followup in the Times the next day. Early last month, an immigrant was beaten to death with boards and pipes by a group of youths in Dyker Park. 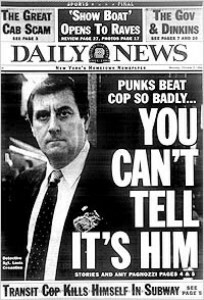 Four weeks ago, according to residents, eight or nine members of a group calling itself the Lords of Brooklyn pummeled several Navy officers on 83d Street and Fifth Avenue. Around the same time, another group of youths stabbed someone outside a bar on 84th Street and Third Avenue. Roughly a year ago, members of the Lords of Brooklyn and another group called the Verrazano Boys reportedly tore apart Penny Lane, a bar on 92d Street and Fourth Avenue. It has not reopened. Last April, two 13-year-old girls got into a fight and one was slashed in the face with broken glass; she needed 77 stitches. 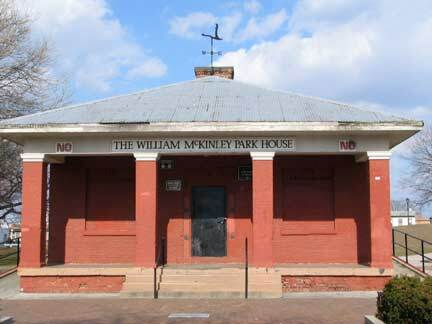 And last March, teen-agers torched the park building in McKinley Park, burning it to the ground. According to park authorities, the teens were angry that the graffiti they inscribed on the park house was repeatedly being blotted out. The park house was rebuilt and just recently reopened. That was thanks to the community, which had raised $5,000 for its restoration. “The structure was refurbished with new walls, door, flooring, paint, and utilities,” according to the parks department. “Mayor Giuliani held his first town hall meeting in the park in 1994,” making it something of a symbol of his urban-renewal project. Today, the park, like the neighborhood, is sleepier than it was in 1994, though it still fights for attention as it always has: in 2011, after intervention from the local congressmember, the parks department announced it would repair the bathrooms—just three years after they’d gone out of order.